Yesterday, Friends of Nelson filed a Request for Rehearing with the Federal Energy Regulatory Commission (FERC) on FERC’s decision to issue a Certificate of Convenience and Necessity for the Atlantic Coast Pipeline. The filing is on behalf of 63 property owners and citizens of Nelson County, and 4 community organizations. Horizons Village Property Owners Association, Inc., Wintergreen Country Store Land Trust, and the Rockfish Valley Foundation are among the parties filing the Request. The Friends of Nelson filing asserts that FERC and Dominion have failed to provide sufficient analysis and information on the environmental, cultural, historical, economic and socio-economic impacts of the project in Nelson County. It also claims that FERC and Dominion have failed to demonstrate a need for the project, so should not be granted eminent domain powers. Friends of Nelson is also party to a separate Request for Rehearing filed yesterday by Appalachian Mountain Advocates and Southern Environmental Law Center on behalf of 22 groups, including the Sierra Club, Dominion Pipeline Monitoring Coalition, Chesapeake Bay Foundation, Friends of Buckingham, Wild Virginia, Nelson Hilltop LLC, and Rockfish Valley Investments. In a letter today addressed to the Nelson County Board of Supervisors, Friends of Nelson has asked that they consider potential zoning and economic impacts from the possible construction of the Atlantic Coast Pipeline. Both the industry and the Pipeline Hazardous Materials Safety Administration (PHMSA) have recommended that county governments restrict development through actions by county governing bodies. This would create a 4500-acre area that would be highly restrictive of development: an area a quarter of a mile wide, stretching for over 23 miles and bisecting Nelson County from Reeds Gap to the James River. “In addition, developers would need to consider evacuation routes for residential developments when planning private roads. Localities failing to enact ordinances that take these guidelines into account face possible safety and liability concerns,” Ms. Shifflett continued. A resolution passed by Wilson County commissioners states that ACP officials (have) “failed to inform property owners or local government” of their liabilities associated with the Atlantic Coast Pipeline. The resolution further noted that property owners within the dead zone have not been offered compensation for restrictions placed on their property outside of the construction and permanent easements. They say these types of development restrictions will severely and negatively affect the value of land and property owned by county residents. The potential environmental and economic impacts to Nelson County have been well-documented by a 2016 economic study, commissioned by Friends of Nelson, which estimates total economic losses to Nelson County of up to $24.5 million dollars per year, with additional one-time costs of up to $41 million. PMHSA advises localities to place ”additional development regulations, standards or guidelines to ensure safety” on all property within 660’ of any natural gas pipeline. They also state that the size of this Consultation Planning Zone should be adjusted depending on the operating pressure, pipe diameter and site-specific topography. “The Pipeline Informed Planning Alliance was born from a push from the industry, and while careful not to “regulate” local boards and commissions, they do imply that liability at every step does not rest with the owners or users of the pipeline,” the letter concludes. Yesterday [September 7, 2017], in a move to speed up the regulatory process, Dominion Energy and Duke Energy have asked the Federal Energy Regulatory Commission to approve the proposed Atlantic Coast Pipeline ahead of schedule. The letter requested that FERC “issue an order granting the certificate for the project at the earliest possible time, consistent with the rules and regulations of the commission.” This action was taken unilaterally and on behalf of those companies who would make almost a billion dollars of profit on the project, even if the pipeline never comes into service. On the same day that Dominion’s letter was submitted to FERC, the United States Fish and Wildlife Service submitted comments to FERC on an Endangered Species Act consultation, noting that their biological opinion has yet to be issued. “Regardless of the outcome, one thing is certain: Dominion will not have the last word on this,” Reed concluded. Washington, D.C. — Landowners whose farms and homes are in the path of the proposed Atlantic Coast and Mountain Valley fracked gas pipelines will hold a press conference on Wednesday outside the D.C. offices of the Federal Energy Regulatory Commission (FERC), to announce their filing of a lawsuit against FERC to end the abuse of eminent domain for private gain for fracked gas pipelines. The lawsuit, filed Tuesday [September 5, 2017] in Washington D.C. federal district court, on behalf of 57 Landowners, Bold Alliance and Friends of Nelson, challenges the constitutionality of the eminent domain provisions of the Natural Gas Act, and seeks to end the unconstitutional and unconscionable process of taking citizens’ private property via eminent domain for a corporation’s profits — and not for “the public good” as the Constitution intended. The lawsuit targets FERC’s encouragement of pipeline companies to negotiate easement agreements with landowners in advance of the agency’s issuance of a “certificate of need,” which results in “irretrievable commitment of resources” to a particular route prior to a formal decision, and absolves the Commission of its responsibility to actually determine whether a proposed project is needed. The lawsuit also specifically challenges FERC’s issuance of “conditioned certificates” — which authorize a taking of property rights that are not, and may never be, necessary to construct the proposed project; and “blanket certificates” — which inappropriately grant a private company eminent domain power coextensive with that of the state, and strip future aggrieved landowners of their rights to formal administrative procedures. Under the current regulatory regime, landowners are left without a forum to challenge eminent domain abuses. Meanwhile, virtually anything goes — with certificates conferring eminent domain issued by FERC to pipelines that do not serve a public use, but instead, facilitate gas for export or create opportunities for pipelines to monopolize the market for input to gas and electricity utilities, to be distributed in markets controlled by the pipeline’s affiliates. Plaintiffs in the lawsuit include Bold Alliance, Friends of Nelson, 26 individual landowners on the proposed Mountain Valley Pipeline route and 31 landowners on the proposed Atlantic Coast Pipeline route in West Virginia, Virginia and North Carolina. Plaintiffs include 14 Nelson County landowners and others in Augusta and Bath Counties. Defendants include FERC, and, respectively, Atlantic Coast Pipeline backers Dominion Resources, Duke Energy, Piedmont Natural Gas and AGL Resources; and Mountain Valley Pipeline backers EQT Midstream Partners, LP; NextEra US Gas Assets, LLC; Con Edison Transmission, Inc.; WGL Midstream; and RGC Midstream, LLC. WHO: Landowners’ attorney Carolyn Elefant; Bold Alliance’s Carolyn Reilly (also a landowner on the proposed MVP route); Ernie Reed (Friends of Nelson) and landowners on the proposed ACP and MVP routes. WHEN: Wednesday, September 6, 11:00 a.m. – 12:00 p.m.
WHERE: Federal Energy Regulatory Commission (FERC), 888 1st St NE, Washington D.C. The reports rely solely on the project developer’s claims of need for the 600-mile, $5.2 billion pipeline, which would yield substantial profit for Dominion Energy and the other private companies behind the project, while the public would be saddled with the long-term and permanent financial, environmental and health costs. In Nelson County, construction is predicted to take longer than a year, including creation of the landing and drill pad to be located adjacent to the entrance to Wintergreen and a still-unanalyzed 2.5 million gallon water impoundment on the Rockfish River. The bulldozing, trenching and blasting in areas of cultural and historical value in Wingina, Dutch Creek, Wheeler’s Cove and the Rockfish Valley have all been deemed “insignificant” by FERC. “The destructive effects on our economy, our roads, our water and our community are unfathomable,” Reed said. Confirming what Friends of Nelson has long maintained—and what independent soil scientists have affirmed—the FEIS tellingly asserts that “considering the historic and recent landslide incidence in the immediate project area…we conclude that constructing the pipelines in steep terrain or high landslide incidence areas could increase the potential for landslides to occur.” Yet development of other slope instability/landslide risk reduction measures have not been completed and have not been adopted. ABRA Press Release: FERC’s final Atlantic Coast Pipeline report a sham, July 21, 2017. The EIS fails to assess whether the project is even needed (relying solely on the project developer’s claims of need), that numerous studies in recent years show the gas and utility sector is overbuilding natural gas infrastructure, and that the EIS glosses over the profound and permanent harm to water resources and drinking water supplies, forest ecosystems, wildlife and endangered species habitat, historic sites, agricultural resources, public lands including the Appalachian Trail and Blue Ridge Parkway, and local economies. A significant red flag for the ABRA is FERC’s reliance on Dominion’s pledges to mitigate harm to water resources rather than requiring the company to provide upfront detailed plans to be shared with the public prior to granting federal certification and the power of eminent domain. The press release also lists nine key points the EIS fails to adequately address. See full press release and contact information here. Friends of Nelson and citizens of Nelson County will welcome the “Walking the Line” hikers to Nelson County, Tuesday, June 27 at 1 pm at Three Ridges Overlook on the Blue Ridge Parkway. They are tracing the proposed path of the Atlantic Coast Pipeline. The walkers embarked over a week ago on the 2-week pilgrimage to draw public attention to the devastation that would be unleashed by the proposed pipeline. This 140-mile segment of the hike, which closely follows the proposed route, began on June 17 in Bath County and will end on July 2 in Buckingham County. By meeting the affected people—and seeing firsthand the mountains, ridges, countryside, rivers, streams and wetlands that would be impacted by the proposed pipeline—the hikers will be able to speak from their hearts about the consequences of this highly destructive and unnecessary project. Nelson County residents will be joining the hikers at Reed’s Gap as they hike east down along Beech Grove Road, where the proposed ACP would emerge after boring 4200’ through the mountain beneath the Blue Ridge Parkway and the Appalachian Trail. They will be spending the night in Nellysford before continuing through Gullysville, then along the ridgetop of Roberts Mountain, which would be leveled by proposed construction. The hikers will continue towards Wheeler’s Cove on their way to Wingina, the James River and eventually Buckingham County. For more information see the Walking the Line Webpage at http://walkingtheline.org. Organizers, pipeline walkers and impacted Nelson County residents will be available for interview. RICHMOND, VA — A briefing paper released today details how Dominion Resources intends to blast away, excavate, and partially remove entire mountaintops along 38 miles of Appalachian ridgelines as part of the construction of the Atlantic Coast Pipeline. Engineering and policy experts have examined documents submitted by Dominion to the Federal Energy Regulatory Commission (FERC) and, using GIS mapping software, found that Dominion would require mountaintops to be “reduced” by 10 to 60 feet along the proposed route of the pipeline. For perspective, the height equivalent of a five-story building would be erased in places from fully forested and ancient mountains. On Wednesday April 19, 2017, the Virginia Supreme Court will hear two different cases on the legality of the state surveying statute, and the legality of the surveying itself, on properties that lie on the proposed route for the Atlantic Coast Pipeline (ACP). On the same docket, Buckingham County landowners will have their appealed right-to-enter cases heard. In April, a Buckingham County judge granted ACP surveyors the right to enter private property without giving landowners notice of the specific date of entry, despite the fact that the pipeline builder has not yet been granted the right to exercise eminent domain. Appalachian Mountain Advocates originally filed this appeal in April, 2016, arguing that this violates Virginia law and constitutes criminal trespass. These are not the only violations of personal property rights that Dominion has perpetrated against Virginia landowners. Friends of Nelson has recently learned that Doyle Land Services, the lead surveying company that has been performing ACP surveys, is not licensed in Virginia. Numerous landowners have complained to the Federal Energy Regulatory Commission regarding legal violations performed by surveyors hired by Dominion. The Virginia Supreme Court is located at 100 North Ninth Street, 5th Floor, in Richmond, across from the Capitol building. The report was a joint project of Friends of Nelson, Friends of Wintergreen, and Wintergreen Property Owners Inc. Date: Wednesday, February 22, 6-9 p.m.
Local citizen groups will hold a Community Public Hearing on Wednesday, February 22 from 6-9 p.m. at the Nelson County Middle School. The hearing will be held concurrently with the Federal Energy Regulatory Commission’s “Listening Session” on the proposed Atlantic Coast Pipeline. The Federal Energy Regulatory Commission (FERC) is conducting public listening sessions in Virginia regarding the proposed Atlantic Coast Pipeline (ACP) Draft Environmental Impact Statement (DEIS) at different locations throughout the state. The Nelson County FERC session begins at 6:30 p.m. at the adjacent Nelson County High School. Concerned citizens will be gathering in the Nelson County Middle School library at the same time as the FERC meeting, to provide a welcome environment for the public to share information and show opposition to the ACP. FERC has refused to hold true Public Hearings on the proposed ACP, instead holding “Listening Sessions” where citizens sit in a closed room with a scribe and speak their 3 minutes of comments in secrecy. The Atlantic Coast Pipeline is a proposed $6 billion, 42”, high-compression pipeline that would carry fracked natural gas from West Virginia, across Virginia to North Carolina and the Tidewater area, causing environmental and economic damage to communities and private properties that it does not serve. Polls confirm that a majority of Virginians doesn’t want it, and gubernatorial candidates from both the Republican and Democratic parties have come out strongly against it. A press conference with local citizens opposing the Atlantic Coast Pipeline will be held at 6:10 p.m. at the Nelson County Middle School library. We encourage the press to attend and interview participants at that time. To download the full press release from Friends of Nelson, click here. A community rally in support of Nelson County property owners who have been sued by Atlantic Coast Pipeline, LLC (ACP) will be held on Monday, February 6, at 12 noon on the steps of the Nelson County Courthouse in Lovingston. The rally will precede the 1:30 hearing in Nelson Circuit Court on ACP’s request for a declaratory judgment that would allow them to enter private property in order to survey for the proposed Atlantic Coast Pipeline without the consent of affected Nelson County property owners. In the evidentiary hearing on the petition, both ACP and the defendants will likely call witnesses to testify, including experts on the matter in dispute. According to the Circuit Court schedule, this hearing will be for 39 different property owners being sued by Dominion, and they will be represented by several different attorneys. A previous hearing in Buckingham County Circuit Court resulted in the awarding of a declaratory judgment against 7 Buckingham citizens. That ruling is not applicable to Nelson County defendants. The defendants claim 1) that Atlantic Coat Pipeline LLC does not have the authority to enter these properties and that 2) ACP has failed to give proper notice of entry as required by the Virginia Code. “We’re hoping Judge Garrett will hear the evidence and conclude, as we do, that the ACP cannot satisfy the requirements of the statute in order to be exempt from common law trespass,” said attorney Chuck Lollar, who is representing many of the defendants. The rally is being organized by Friends of Nelson. Additional affected property owners will be available for comment. Friends of Nelson Press Release, December 31, 2016: Atlantic Coast Pipeline Environmental Impact Statement Reveals Shocking Impacts and Hides the Truth: Friday’s release of the Draft Environmental Impact Statement for the Atlantic Coast Pipeline came as no surprise to Friends of Nelson and to those who have been opposing the pipeline since it was first proposed. “FERC has taken Dominion’s assertions as truths and dismissed the findings of dozens of reports and analysis by experts who know better,” said Ernie Reed, President of Friends of Nelson. Press Release, December 30, 2016 (multi-group press release coordinated by Appalachian Voices): To all media: America’s next big pipeline fight is emerging in the mountain towns and farming communities of West Virginia, Virginia and North Carolina. With federal regulators poised to rubber-stamp the proposed fracked-gas Atlantic Coast Pipeline, landowners, community leaders and their allies are taking inspiration from the water protectors at Standing Rock and vowing to stand together to stop it. WASHINGTON, D.C. – Dozens of local groups and public advocacy organizations today condemned federal regulators for ignoring evidence that the proposed 600-mile Atlantic Coast Pipeline is not needed and puts lives, communities, drinking water supplies, private property, publicly owned natural resources and the climate at unacceptable risk. • Thorough, site-specific analysis of damage to water quality and natural resources throughout the pipeline route. Click here for the full press release, including contact information, statements from community, environmental, and legal experts, and highlights of major impacts of the Atlantic Coast Pipeline and the related Supply Header Project. Friends of Nelson Press Release, September 22, 2016: With a press release issued on September 22, 2016, Friends of Nelson has joined more than 180 organizations representing communities across America calling on leaders in the Senate Energy and Natural Resources Committee and House Energy and Commerce Committee to hold congressional hearings into the Federal Energy Regulatory Commission’s (FERC) extensive history of bias and abuse. The groups are also requesting reform of the Natural Gas Act, which the groups say, gives too much power to FERC and too little to state and local officials. A letter to Chairman Fred Upton (R-MI), Chairwoman Lisa Murkoski (R-AK), Ranking Member Frank Pallone (D-NJ) and Ranking Member Maria Cantwell (D-WA), signed by 182 community organizations representing communities in 35 states argues that FERC’s review and approval process for jurisdictional pipeline projects is infected by bias; and that it is resulting in uncontrolled and irresponsible proliferation of unneeded natural gas pipelines. Finally, the letter charges the agency with misusing provisions in the law to strip people and states of their legal rights, to prevent fair public participation in the pipeline review process, and to improperly use the power of eminent domain to take private property and public lands in a way that inflicts unforgivable harm to rights, jobs, and communities. Other regional groups endorsing the letter include the Allegheny Blue Ridge Alliance, Friends of Buckingham, Wild Virginia, Free Nelson, Climate Action Alliance of the Valley, the Augusta County Alliance, Appalachian Voices, the Dominion Pipeline Monitoring Coalition, the Pipeline Education Group of Nelson County, the Potomac Riverkeeper Network and Southern Shenandoah Chapter of the Potomac Appalachian Trail Club. Read the letter to Senate and House leaders here. Includes full list of supporting organizations. Friends of Nelson Press Release, August 22, 2016: The Allegheny-Blue Ridge Alliance (ABRA) has released a report for landowners and water providers concerned about the potential impacts of pipeline development on water supplies. The report, “Guidance for Monitoring Effects of Gas Pipeline Development on Surface Water and Groundwater Supplies,” was prepared by Downstream Strategies, a West Virginia-based environmental consulting firm. Funding for the report was provided by Friends of Nelson, ABRA member groups and individual contributors. 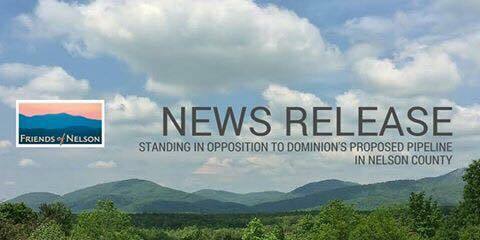 Friends of Nelson Press Release, May 12, 2016: A Nelson County Circuit Court Judge has ruled in favor of 37 Nelson County landowners who had denied Dominion the right to survey their properties for construction of the proposed Atlantic Coast Pipeline. The ruling states Atlantic Cast Pipeline LLC had failed to specify a date of entry to perform surveys and, therefore, failed to comply with VC 56-49.01 which allows natural gas companies the right to survey properties only if certain terms are met. Read the full press release here. Friends of Nelson Press Release, May 2, 2016: The proposed Atlantic Coast and Mountain Valley pipelines are unnecessary and pose unacceptable risks to ratepayers, communities and investors. These are some of the conclusions of a new study, Risks Associated With Natural Gas Pipeline Expansion in Appalachia, released April 27 by the Institute for Energy Economics and Financial Analysis (http://ieefa.org/wp-content/uploads/2016/04/Risks-Associated-With-Natural-Gas-Pipeline-Expansion-in-Appalachia-_April-2016.pdf). Friends of Nelson Press Release, April 12, 2016: Friends of Nelson is providing funding support for two initiatives that will be instrumental in understanding the potential impacts of Dominion’s Atlantic Coast Pipeline (ACP) on Nelson County’s groundwaters and streams. The findings from these efforts will help assure that, whatever the future holds with the proposed ACP, Nelson’s high quality water will remain uncompromised. Downstream Strategies, a Morgantown, W.Va. environmental consulting firm, has been contracted by the Allegheny Blue Ridge Alliance (ABRA) to examine the implications of pipeline development for private and public water supplies. Their report will provide recommendations for water quality and quantity monitoring for landowners and water providers. The report will include Nelson County and will address both the proposed Atlantic Coast Pipeline and the proposed Mountain Valley Pipeline. See the full press release for further details, including how to volunteer, training for volunteers, and how to donate to support the study. Friends of Nelson Press Release, April 5, 2016: Friends of Nelson has issued a press release on the call by many Nelson businesses, community organizations, and private citizens for FERC to conduct a comprehensive, simultaneous review of all four proposed gas pipelines that would cross Virginia instead of following their usual procedure of one-at-a-time environmental assessments. To date, 45 small businesses have endorsed the statement, along with four community groups (all are listed in the release). Friends of Nelson continues to add additional support from the county business community. For the full press release click here. Friends of Nelson Press Release, March 21, 2016: Friends of Nelson has issued a press release on the review and analysis by Key-Log Economics of individual and form letters submitted to the Federal Energy Regulatory Commission (FERC) which shows a vast number of significant concerns about Dominion’s Atlantic Coast Pipeline (ACP) from citizens in impacted areas and their overwhelming opposition to the pipeline. For the full press release click here. Friends of Nelson Press Release, February 29, 2016: Friends of Nelson, a citizens’ group opposing the Atlantic Coast Pipeline in Nelson County, VA, will rally in support of citizens’ property rights prior to court proceedings on ACP LLC’s lawsuits to force surveys on property owners in Nelson. The group will gather at 9:15 a.m. on Wednesday, March 2 outside the Nelson County Courthouse in Lovingston. The court hearing is scheduled for 10:00 am. Atlantic Coast Pipeline LLC, the limited liability corporation led by Dominion that is proposing the pipeline, has sued 47 property owners throughout the route to assert their right under VA statute 56-49.01 to survey private property without the consent of the property owner. This hearing includes 37 of the unresolved cases in Nelson County, with 10 more yet to be scheduled who were served last Friday. By law, there must be at least 21 days between when defendants are served and the date of their hearings. Dominion has sued many more people in Nelson than in any other county on the route. Should the Federal Energy Regulatory Commission (FERC) issue a Certificate of Convenience and Necessity to ACP LLC, Dominion will then be able to use the power of eminent domain to force the taking of property easements for its construction. But the current Virginia statute allows surveyors to trespass although the federal government has made no such determination. “FERC mandates that benefits of a pipeline must be proportional to the proposed impacts. However it has been clearly shown that costs to our county are huge and far exceed the benefits,” says Salidis. An independent analysis by Key-Log Economics released last month states that the Atlantic Coast Pipeline would cost Nelson County up to $43 million dollars per year, with additional onetime costs of up to $41 million. Individuals and businesses would lose up to $25 million in property value outright, while annual losses would include $18 million in recreation tourism dollars and $1.2 million in personal income. An amendment to the Virginia Constitution was passed in 2012 that received more than 75% of the vote in a public referendum that reinforced Virginia’s property rights laws. On February 16, a writ panel of Virginia Supreme Court heard Williams v. Mountain Valley Pipeline challenging the survey trespass law and soon it will determine whether to hear the full appeal. If it does, there will be a decision of the court on whether the survey statute is unconstitutional. The decision would almost certainly be decisive, one way or the other, as to whether the state constitution’s private property guarantees prevent the surveys for ACP and Mountain Valley Pipeline without landowner permission. Friends of Nelson Press Release, February 16, 2016: The Atlantic Coast Pipeline would cost Nelson County up to $43 million dollars per year, with additional one-time costs of up to $41 million according to an independent economic report issued Tuesday by Key-Log Economics. Individuals and businesses would lose up to $25 million in property value outright, while annual losses would include $18 million in recreation tourism dollars and $1.2 million in personal income. The county government would lose $526,000 in tax revenue and $144,000 in property tax revenue per year should the pipeline be built in Nelson County. The total annual costs to Nelson County far exceed the local annual tax payment promised by ACP LLC. These costs would be borne by the entire community, assuming taxes were raised to cover lost county revenue. The report surveyed available literature and research studies on the effects of natural gas pipelines on property values. 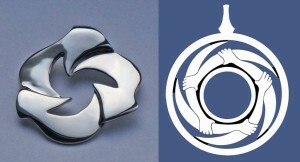 Effects were estimated based on the best and most recent research. Previous studies that failed to find an effect did not ensure that buyers were aware of the presence of the pipeline, and they used properties that were still in the evacuation zone to compare to properties that were in the right of way. “Dominion wants to subsidize their profits on the backs of Nelson County’s property owners and tax payers. Property owners in the right of way will be forced to ‘host’ the ACP, and will not even be compensated for losses in property value. The entire community will suffer as property taxes are raised to make up for lost revenue,” says Joanna Salidis, President of Friends of Nelson. The construction of the Atlantic Coast Pipeline would reverse the trend of growth that has been a trademark of Nelson County. Since 2001 population has grown 2.8 percent, sole proprietorships have grown almost 30 percent and investment and retirement income by over 61 percent. “Retirees, entrepreneurs and small business owners in a variety of industries choose where they locate, basing their decisions on amenities and quality of life “ in which Nelson County excels. Over 26 miles of pipeline proposed for Nelson County would touch over 130 parcels, with over 87 percent of the permanent right of way currently forested. 2,094 people and 2,409 homes lie within the evacuation zone, should an accident occur. The ACP would be the first and only natural gas pipeline in Nelson County. “We believe that property value and other losses would actually be considerably greater than Key-Log estimated – because even the best available research isn’t assessing the impact of a pipeline or right of way this big in a tourism dependent community with steep, forested terrain comparable to the route through Nelson,” continued Salidis. The Nelson County Pipeline Impact Study is part of a 4 County analysis including Augusta, Buckingham and Highland Counties. That study places 4-county costs at over $100 million annually plus an additional one-time cost of $141 million. These costs include estimated impacts to air, water and recreational benefits. The Dominion reroute recently announced will further increase these costs as more property and more landowners will be affected in Augusta along with new ones in Bath County. It affects Nelson and Buckingham counties in that as the costs of the pipeline continue to mount, proposed tax payments to these counties will continue to decline. “While the use of the pipeline is measured in years, the costs to the county are forever,” Reed concluded. Many groups across the state are fighting these highly controversial large-diameter high-pressure pipelines due to concerns about property rights, local economies, clean water, safety, air quality and climate change. Despite this opposition, Governor McAuliffe maintains that the pipelines would bring jobs to VA, a position he has repeated since he stood arm and arm with Dominion CEO Tom Farrell at the initial press conference in September 2014 announcing the Atlantic Coast Pipeline. “There’s only two possible reasons the Governor would want state agencies to ‘coordinate’ their comments – one is to control those comments and the other is to vet them through his contacts with Dominion,” says Joanna Salidis, President of Friends of Nelson. Many federal and state agencies have responded to Dominion’s filing for permits with feedback that their application is too incomplete to process, including the Bureau of Land Management, the United States Army Corps of Engineers, and the West Virginia Department of Environmental Protection. Early last week Friends of Nelson invited the Governor to visit Nelson County to speak to landowners, business owners, and local officials, sending him more than 1200 invitations signed by residents of and visitors to Nelson County. The Governor has not responded to that invitation. Friends of Nelson Press Release, October 30, 2015: Friends of Nelson launched a No Pipeline! video contest today, with a $1000 prize for the winner. The contest is open to anyone, including those fighting other proposed natural gas pipelines. Entries must mention the Atlantic Coast Pipeline by name, the high-pressure, large-diameter pipeline proposed to run through the Allegheny and Blue Ridge Mountains, Monongahela and George Washington National Forests, the Appalachian Trail and Nelson County on its way to the coast and NC, but can include other projects or mention any of the myriad issues raised by new natural gas infrastructure. “We hope that this contest, and the videos that come from it will help raise awareness in urban areas of the true consequences of the “Fracking Boom.” More and more of us in rural America are experiencing first hand the frightening loss of personal and community sovereignty as we are forced to “host” these dangerous pipelines and compression stations, turning our homes and communities into sacrifice zones, and wasting the resources that we all depend on — and for nothing but to enrich the very few,” says Joanna Salidis, President of Friends of Nelson. Full contest rules are here. Friends of Nelson Press Release, October 28, 2015: Residents and Business owners invite Governor McAuliffe to Nelson County. Virginia citizens and business-owners have extended an invitation to Virginia Governor Terry McAuliffe to visit Nelson County and tour the proposed route of Dominion’s Atlantic Coast Pipeline. In an invitation delivered yesterday, the Governor was invited to meet with citizens and business and property owners who would be impacted by the construction and operation of the 42-inch, high-pressure natural gas pipeline. The invitation, signed by over 1200 Virginia residents reads “(We) would really appreciate your taking the time to travel along the proposed route to meet and speak with your constituents on the frontline of the proposed demolition. Your visit will introduce you to landowners along the route and could include a public forum with a question and answer session and meetings with local officials and business leaders.” Click the link for the full text of the press release PLUS quotes from some of the 1200 signers of the invitation. Friends of Nelson Press Release, March 26, 2015: Regulators Fail to Protect Public Interest in Pipeline Process. “FERC’s scoping meeting in Nelson illustrates exactly what so many affected communities around the country have been saying: FERC is an independent governmental agency, funded by the industry it regulates, with no accountability – nor, in their eyes, responsibility to the public,” says Joanna Salidis, President of Friends of Nelson, a group working to oppose Dominion’s pipeline. Friends of Nelson Press Release, March 3, 2015: Nelson and Augusta Counties Join Forces to Document Pipeline’s Impacts. Friends of Nelson and the Augusta County Alliance, have joined forces in order to produce an economic report countering the purported economic benefits of Dominion’s proposed Atlantic Coast Pipeline. The Charlottesville-based firm of Key-Log Economics, LLC, will conduct a thorough economic study that will show the true costs and impacts to Nelson and Augusta communities along the proposed path of the pipeline. Friends of Nelson Press Release, March 2, 2015: Dominion’s Rush Makes Regulatory Process a Sham. Dominion’s announcement of alternative routes through Nelson County doubled the people and properties affected. Newly affected property owners are struggling to understand all the implications of being on the route, and now feel even more pressured. Friends of Nelson believes the FERC should give more time before the scoping meeting and a longer scoping period. Friends of Nelson Press Release, February 26, 2015: Nelson County Takes the Offensive Against Illegal Surveys. A response to Dominion’s February 23 letters stating intent to begin surveying properties on the newly announced alternate routes. Friends of Nelson Press Release, February 23, 2015: Opposition to Dominion’s Atlantic Coast Pipeline On the Rise. A response to Dominion’s recent release of proposed “alternative routes” for the Atlantic Coast Pipeline. Friends of Nelson Press Release, February 11, 2015: Dominion’s Atlantic Coast Pipedream: Lies and Numbers. A response to Dominion’s Atlantic Coast Pipeline economic impacts report. Friends of Nelson Press Release December 16, 2014: discusses Dominion’s passive-aggressive PR. Friends of Nelson Press Release November 25, 2014, discusses a myriad of water issues that the pipeline would affect – for example, the good water our breweries rely on, or the Richmond area drinking water that is directly affected by the tributaries to the James in our mountains, or the disastrous effects of weather events like Camille. Friends of Nelson Press Release, November 12, 2014: 3 of Every 4 Nelson Landowners Refuse Access For Dominion Pipeline Surveys. Friends of Nelson Press Release, September 2, 2014: Duke Energy has selected Dominion Resources and its subsidiaries to build and operate a massive new natural gas pipeline slicing through the heart of central Appalachia and Virginia’s Southside. Dominion will have to seize private property through eminent domain, uproot farms and families, and disrupt businesses and lives in their attempt to complete the project. The pipeline will also fragment over 50 miles of remote National Forest in Virginia and West Virginia. Friends of Nelson, one of many local groups of property owners opposed to the pipeline, remains emphatically opposed to the pipeline in its entirety. Friends of Nelson Press Release, August 11, 2014: Friends of Nelson, one of several groups opposing Dominion’s proposed 42” natural gas pipeline, calls the project incompatible with the tourism and agricultural way of life in the mountainous rural county.